The scope of e-books are written documents (book, paper, notes, etc) which are related with science of diverse disciplines. All archives are open licensed distributable and can be accessed directly without registration, and can be downloaded with click the link of UNDUH NASKAH on every pages of books archives information. For authors/publisher who intend to place their e-books, are welcomed after registration on the page of PENULIS. Make sure to read the page of BANTUAN dan PERJANJIAN. For each approved registration will be given a site page and tools for storing the documents completed with author's profile, forum and access statistic. This time BUKU-e LIPI also keeps all text-books documents for elementary schools, junior high schools, and senior high schools, which are published by National Education Departement in label of Buku Sekolah Elektronik (BSE). BUKU-e LIPI uses the facility which are managed by ARSIP. 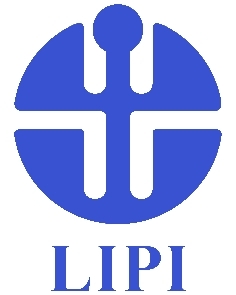 For, Scientific Journal Information System, can be accessed on Journal Online, For Scientific Meeting and Organisation Management System can be accessed on OPI LIPI. Also provided collaboration facility online on SciBlog.